Supporters are acknowledged in the printed programs for the concerts. Contributions go towards planning and execution of our wonderful and intimate concerts at the Studio Around the Corner. Please contact Robert Zubrycki at info@culturalartsco.com or 845-363-8330 if you would like to become a supporter. Our grand sponsor for 2017 is the Avangrid Foundation on behalf of New York State Electric and Gas. We are also in gratitude to the Putnam Arts Council through which Concerts Around the Corner is made possible in part by the NYS Council on the Arts with the support of Governor Andrew Cuomo and the NYS Legislature. In Putnam County, this program is managed and monitored by the Putnam Arts Council, Mahopac, NY. 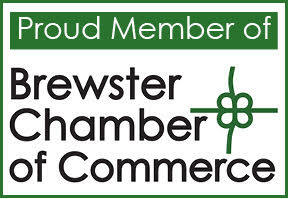 Our media sponsor is Brewster HamletHub, an online hyper-local online news source. The Coalition’s Steinway L Series grand piano is on extended loan from Cheryl Palmer & Estate of Edward H. Vito, Sr., made possible by the generosity of Cheryl Palmer as well as Rob and Sefani Goselink.